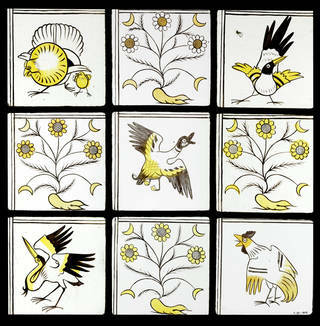 A close friend and collaborator of William Morris, Philip Webb was a talented and versatile designer who not only created buildings and furniture but also tableware, tapestries, wallpaper, tiles and stained glass. Webb is best known as the architect of Red House (1859), a building that established the template for architecture in the Arts and Crafts style. 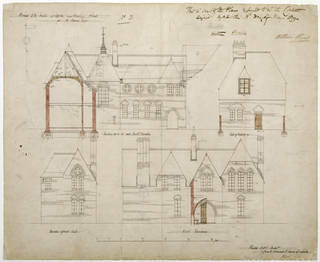 Our collections hold many of Webb's original drawings for Red House, as well as a number of other projects. They help demonstrate how Webb – a man often described as 'the father of Arts and Crafts architecture' – established a quietly revolutionary approach to the design of domestic space. If I were asked to say what is at once the most important production of Art and the thing most to be longed for, I should answer, A beautiful House. 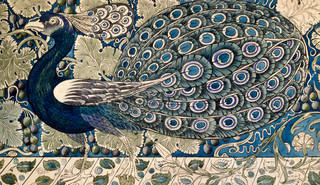 Philip Webb (1831 – 1915) was one of the Arts and Crafts Movement's most original designers. Trained as an architect, he became a junior assistant in the offices of George Edmund Street, a leading figure in the Gothic Revival movement – and architect of London's Royal Courts of Justice. It was here that in 1856 he met William Morris, who had joined Street's firm as a trainee. Two years later Webb set up his own architectural practice, and in 1859 designed his first and still most famous domestic building: Red House in Bexleyheath in Kent. This property was commissioned by Morris as a first home for himself and his new wife, Jane. 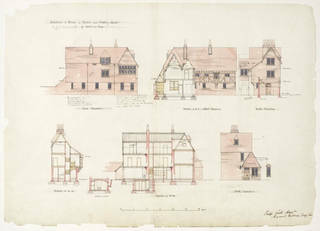 Working closely with Morris, who had a strong interest in reviving the template of a medieval-style work-based community, Webb conceived Red House as both a distinctive family home and a practical studio space. 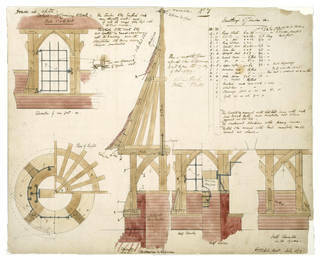 The original design was intended to be flexible and easily altered to accommodate members of Morris's circle, although plans for an extension to make room for Edward Burne-Jones and his wife Georgiana were later shelved. Nonetheless, Red House still embodied a positive expression of community. The house was furnished and decorated by Morris's friends and family, featuring bespoke elements that included hangings and embroideries by William and Jane Morris, tiles and murals by Edward Burne-Jones, and furniture, tiles, metalwork and tableware by Philip Webb. Red House quietly broke many of the established rules of Victorian architecture. Rejecting the contemporary fashion for ornament and architectural statement based on revivals of lavish historical styles, Webb instead chose British vernacular (ordinary and regional) architecture as his chief frame of reference. As a result, Red House is a relatively grand yet extremely comfortable building that emphasises natural materials and looks as if it has almost grown out of the landscape. Picturesque and asymmetrical, the building embodies a lively mix of traditional construction techniques and stylised nods to the medieval period that include red bricks, a steep-sloped roof, tall chimneys and pointed window arches. 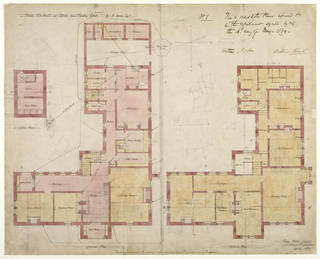 Red House also rejected Victorian conventions regarding the organisation of internal space, as can be seen with its idiosyncratic layout: a two-storey 'L-shape' that wrapped round a garden and a cone-roofed well (in effect, two sides of a medieval-style quadrangle). 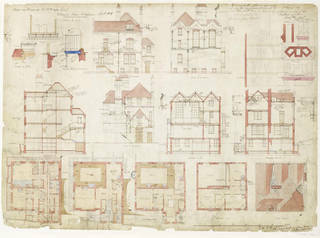 Webb's building was practical and informal, and far more suitable to family life than the rigid and hierarchical design of the traditional Victorian house. In his design, generous spaces (particularly noticeable in the larger-than-average living room and hall) flowed easily into each other, creating a newly-relaxed version of domestic space. It has been suggested that Webb's application of ideas about simplicity and interconnectedness at Red House sowed the seeds of Modernist architecture. 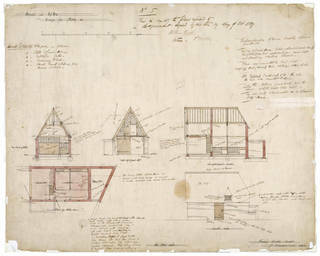 Red House also embodied the Arts and Crafts principle of domestic design as a 'complete' endeavour. Webb and Morris consciously tried to create a building in which applying a unified theory of design ensured its architecture and interiors formed a harmonious artistic whole. Incorporating built-in furniture and contrasting elements such as white interior walls and bare brickwork, the rooms in Red House were deliberately simplified and offered a radical (to Victorian eyes) reinterpretation of countryside style. This pared-down aesthetic later became influential internationally, particularly in the 'Craftsman' houses designed by American proponents of the Arts and Crafts movement. The pleasure Morris, Webb and others in their circle took from working together on Red House led in 1861 to their establishing an interior decorating company, Morris, Marshall, Faulkner & Co., for which Webb worked as a lead designer. It was the rapid expansion of this business that led Morris to sell Red House in 1865, only five years after it was completed. He had realised that trying to produce goods in Kent wasn't practical given that the market for those goods (and many of the specialists he needed to produce them) was almost exclusively in London – plus the long commute was having a negative effect on his health. Webb never designed another building that had the same 'shock of the new' impact as Red House, but he continued to produce architectural projects that developed the approach it had established. He designed a number of non-residential buildings, including a school in Heathfield, East Sussex (1864) and an unusual, square-bodied church in Brampton, Cumbria (1878), but remained focused on setting a new template for domestic space. Impressive country houses designed by Webb in an Arts and Crafts style include Joldwynds in Surrey, Clouds House in Wiltshire, and Smeaton Manor in Yorkshire. He also built a set of grand houses in London, including West House in Glebe Place, Chelsea, No.19 Lincoln's Inn Fields, and No.8 Holland Villas Road in Holland Park. Find out more about Red House. 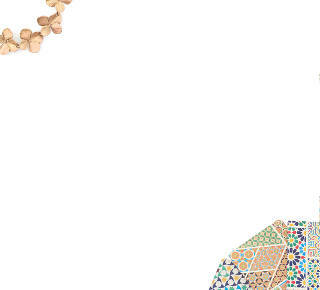 Discover more about Arts & Crafts.